For some reason, this morning I was thinking about my 4 grandparents and the lives that they lived. They’ve all passed away for several years now but occasionally, I reflect on them and how they still impact me today. As you may know, I grew up in Jamaica. Our family would be classified as middle class but in the rural part of Jamaica in the early ‘70s, that meant we grew up without modern conveniences of electricity, telephone and in some cases indoor plumbing. I still remember the day in the late ‘70s when we got electricity. It was like Christmas came in July! We grew up embracing some very simple principles. Each of my grandparents was involved in some type of farming. They raised livestock, planted and reaped their own crops and just lived the simple life. Yet, the simple life that they lived has been so instrumental in teaching the principles that guide me and those of my generation today. They didn’t have much money but what they had was love. And that love was given to my parents and their siblings. And now, a couple of generations later, the love is being passed on to our kids. I decided to pay tribute to all grandparents today because they’re unique in many ways. They raised the people who are parents and guided them along in life. They taught them discipline and gave them the tools to succeed in life. Then they released them into the world to make successes of themselves. 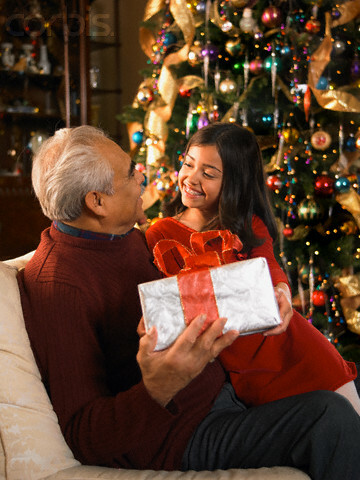 As grandparents, their job is typically easier. They’re not quite as involved – particularly in the area of discipline. Now they just impart the wisdom that they have gained throughout their lives and share with their grandchildren. 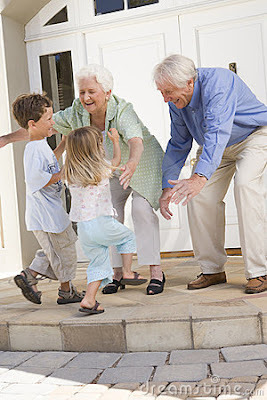 You may have heard people say, “If I knew grandchildren were so much fun I would’ve had them first.” That’s a humorous way of looking at their roles - all the glory and none of the pain that comes with parenting. When my daughter was two years old, our family went to visit my parents in Texas for the holidays. As we were leaving to return to Florida, my daughter was hugging my parents and saying her goodbyes. As I witnessed that, tears came to my eyes. I really got emotional as I witnessed that interaction. It was not until I was on the flight back that I realized what I just witnessed. You see, as a child, I was the one who would go to Grandma and Grandpa’s house. And after having a ball with them, I’d hug them and say goodbye. Now, one generation later, my grandparents have passed from this life and everybody’s moved up a step – my parents are now grandparents and I was the child and now I’m the parent. It’s simply amazing to me how the process works. I’m so fortunate and blessed that my parents are alive and well and have seen my siblings and me become parents. And the wisdom that they impart in our children is invaluable. 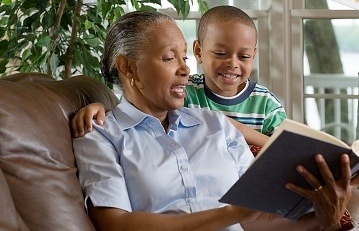 Essentially, the lessons taught to us by our grandparents, our parents are now teaching to our kids. he was only a boy, a child in their eyes. They wondered how he was young but yet so wise. They asked how he learned the secret to life. “Remember that summer before Grandpa died? How I went to his houseand we played outside? and that’s why I speak of him with such great pride. so I must learn to love and forgive. the words that I say and the excuses I give. and do unto others as I want done to me. my actions speak more than the words I say. As dads and moms, for those of us whose parents are still alive, we should embrace the valuable life lessons that grandparents can give our kids. During the holiday season, multiple generations of families throughout the world get together and have a great time. 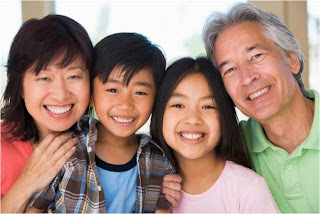 Let’s ensure that our children really get to connect with the great men and women who their parents call mom and dad. I hope that you have an excellent and productive day. This article brought so many memories back to me. I remember my maternal grandfather coming down from Stony Hill to Meadowbrook to visit us, at least once a week. He would always have nice fruits and vegetables with him cause he and my grandmother loved growing their own crops, though they didn't really have their own farm (or maybe they did). Everytime he came, he would ask me what new board game my parents had bought me and tell me to teach him how to play it, even though he claimed that I always taught him in such a way that I would always win :) He is such a pleasant and loving man, that I'm saddened now to see him in a hospital bed in ICU cause he's not breathing well on his own. Nevertheless, he's had 96 almost 97 good years on this earth, and the lessons he's taught and the love he's shown each and everyone one of his kids, grandkids, and great grandkids will never be forgotten! My parents now have become grandparents, three times over. My son, being the oldest grandchild, has definitely gotten the best out of them. They too have shared wisdom, love, and great morals and values, which I hope he will impart on his children someday. Though I feel like they've spoiled him too much in some regards, I guess just knowing that they've been able to spend enough quality time with him to do that, makes me happy. 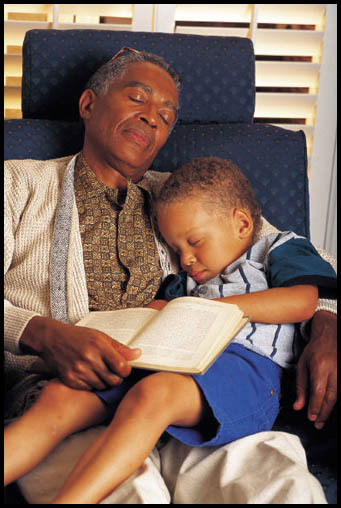 Though I'm not looking forward to being a grandparent myself anytime soon, I hope that when I do become one, that I can share the same warmth, love, and principles upon my grandkids! Until then, I'll continue teaching these things to my child, so that one day, he can do the same to his kids. Congrats on Making the Honor Roll! !